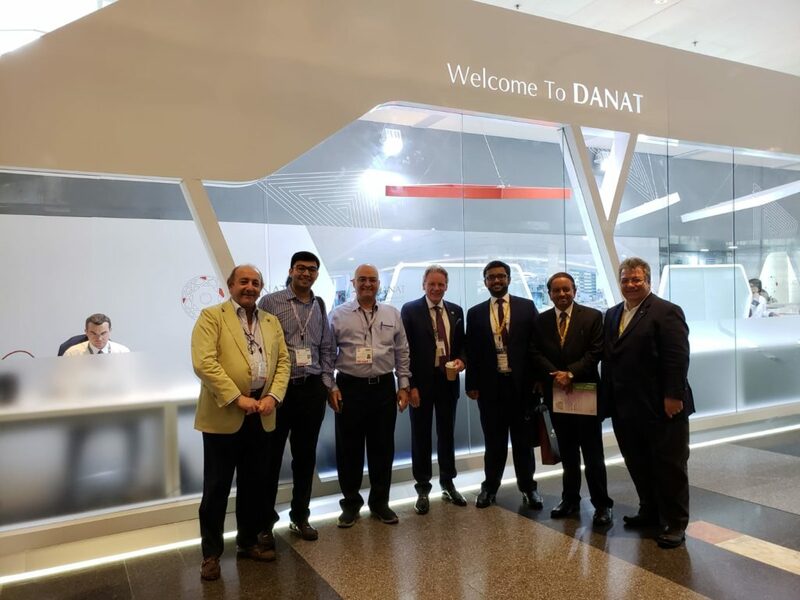 The Bahrain Institute for Pearls and Gemstones (DANAT) received widespread acclaim during its second appearance at the Hong Kong Jewellery & Gem Fair (14th-18th September), a major trade expo for the international gem and jewellery industry. 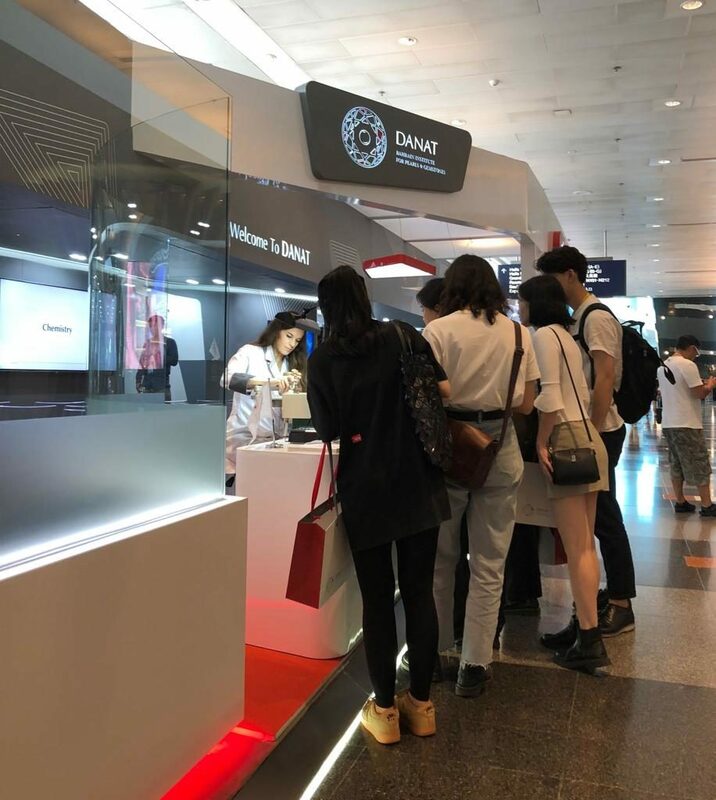 Building upon its participation in the Hong Kong Jewellery & Gem Fair in June 2018, DANAT boasted one of the largest and most unique booths at the show attracting a great number of visitors and clients. DANAT extended its services to provide comprehensive on-site pearl and gemstone testing. Those visiting the booth enjoyed the rare opportunity of witnessing the operations of a gemmological laboratory and DANAT’s experts at work testing pearls, gemstones and jewellery. The on-site testing services for gemstones and pearls were in high demand with DANAT being the only laboratory to provide the latter service during the show. Promoting its products, services and gemmological expertise to an international audience, DANAT also showcased an array of original and engaging attractions including a cultural exhibition detailing the Kingdom of Bahrain’s rich pearling heritage as well as displaying precious one of a kind jewellery pieces from key jewellers in Bahrain and abroad. In addition, public gemstone faceting demonstrations (gem cutting) were conducted by DANAT’s faceting specialist which were held alongside a variety of informative seminars delivered by DANAT’s team of expert gemmologists as well as DANAT’s Field Gemmologist. Seminar topics covered pearl and gemstone identification, DANAT’s Field Gemmology expeditions as well as its report services and gemstone faceting. Delivered by DANAT’s Field Gemmologist Vincent Pardieu, the Field Gemmology seminars were a huge success detailing his expeditions around the world to collect Ruby, Sapphire, Emerald and Zircon samples for DANAT. 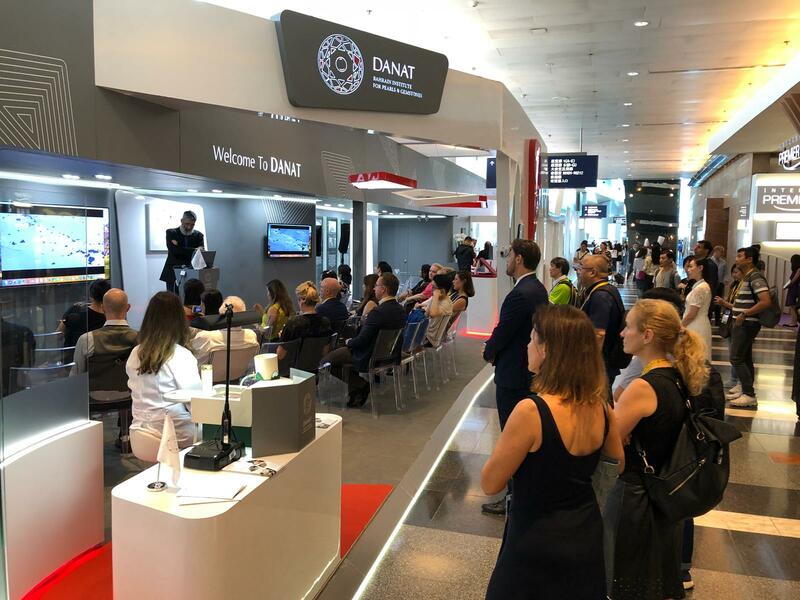 Commenting on DANAT’s participation in the Hong Kong Jewellery & Gem Fair, its Chief Executive Officer Kenneth Scarratt said ‘DANAT’s success at the Hong Kong show is a testament to the superior expertise and world-class services it provides to the international gem and jewellery industry. 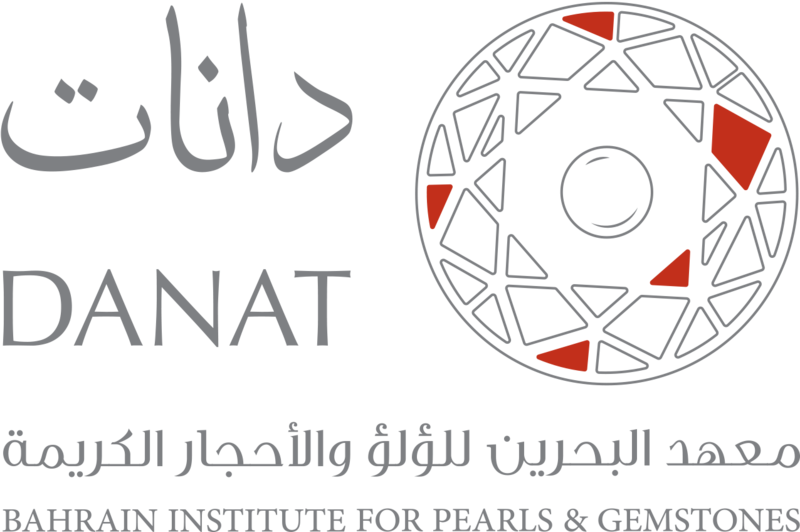 The size and location of its booth, the on-site testing services provided, and all of the other unique attractions offered, has really put DANAT and Bahrain in the spotlight for gemmological excellence on a global scale as specialists in pearl and gemstone verification and authentication. DANAT looks forward to building upon this success at its next show Jewellery Arabia Bahrain in November 2018’.